Sansa Stark. The name needs no intro to the GOT fans. For the rest, 'Sansa Star' is one of the most important role in the series of 'Game of Thrones' portrayed by Sophie Turner. The 22-year-old beauty is now going to become a relative of Priyanka Chopra. It is a known fact that, Desi Girl Priyanka got engaged to American pop singer, Nick Jonas. The Jonas family welcomed Piggy Chops warmly into their family. Nick has a brother Joe Jonas. 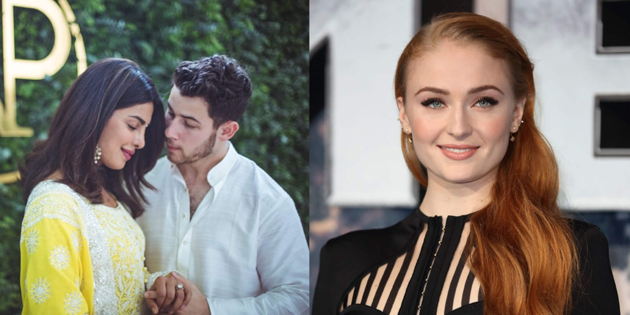 Sophie Turner who is playing 'Sansa Stark' is currently dating Joe Jonas. So, in that way, Sophie has now become a relative of PC. In fact, she shared her happiness with her fans on social media. "Wow. First I am blessed with an incredible future brother-in-law and now such a beautiful and inside out future sister-in-law. I am so excited to welcome you into the family @priyankachopra. I love you both @nickjonas" posted Sophie on Instagram. What's Keeping Nagarjuna So Busy?